Will an unabashedly right-wing television network blaze its way into lopsidedly left-wing Burlington? It will if Jeffrey Kaufman, chairman of Burlington Telecom’s Cable Advisory Council, gets his way. 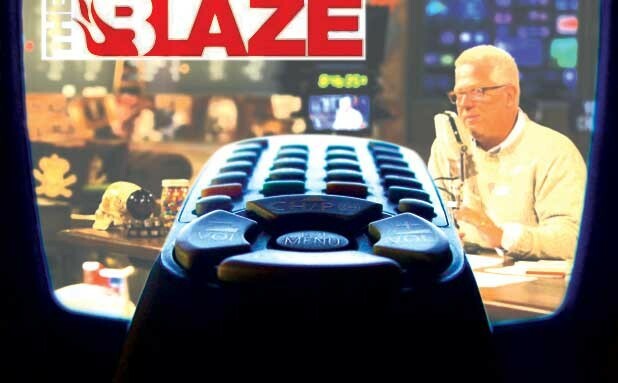 Kaufman wants BT to carry TheBlaze, a TV outlet launched last year by Tea Partying talk show host Glenn Beck. A Burlington physician and a supporter of the Israel Center of Vermont, Kaufman sees TheBlaze as a potential counter to Al Jazeera, an Arab news network that BT has made available to subscribers for the past six years. Al Jazeera is “dangerous,” Kaufman said in an interview last week. He charged that the Qatar-based channel is “spreading Sharia,” aka Islamic law, in the United States. A significant number of conservatives in Burlington might be persuaded to subscribe to BT if it picked up Beck’s TheBlaze, Kaufman suggested. Their addition to the city-owned utility’s current set of 4200 paying customers could possibly cover the cost of making TheBlaze available, he added. Burlington Telecom general manager Stephen Barraclough said talks with TheBlaze about terms are at an early stage. “It may or may not happen,” he commented, adding that it probably won’t unless TheBlaze agrees to a deal resulting in “no incremental costs” to BT. The telecom operation has only “limited money,” Barraclough noted, due to its still-precarious financial condition. BT owes the city $16.9 million in unauthorized loans, and it is fighting a suit in federal court filed by CitiCapital, which claims Burlington Telecom owes it $33.5 million for leased equipment. In addition to whatever rates TheBlaze might want to charge, BT could be required to pay “several thousand dollars” to purchase a special receiver for the network’s signal, Barraclough said. Kaufman contends that TheBlaze is offering BT a discounted price. Barraclough declined to discuss details of negotiations with Beck’s channel, as did Josh Raffel, a spokesman for TheBlaze. But Raffel did write in an email on Monday that TheBlaze has gotten “a lot of customer requests through social media and other platforms” asking that its content be made available through BT. No objections have so far been lodged with BT in regard to a potential arrangement with TheBlaze, Barraclough said. Sandy Baird, a leftist activist and member of the Cable Advisory Council, added that none of the group’s members have expressed opposition to adding a conservative voice to BT’s roster of 250 TV channels. “I support the efforts to have TheBlaze TV come to Burlington, because I support free speech and believe we should have access to as many political perspectives as possible,” Baird said. Lenore Broughton, a publicity-shy bankroller of conservative causes in Vermont, also serves on BT’s five-member advisory council but has not been present for the group’s brief discussions of TheBlaze, Baird added. Kaufman said he already pays to receive TheBlaze through a satellite service. The right-wing messenger also operates a website that attracts 10 million unique visitors a month, according to Raffel. He said figures on Blaze TV’s viewership are unavailable because the service is too new to have its audience measured by independent auditors. Although Kaufman subscribes to TheBlaze, he’s not a BT customer. But the chairman of the Cable Advisory Council said he might sign on with Burlington Telecom if it agrees to carry Beck’s programming. Kaufman isn’t pushing his cause on the same First Amendment grounds as is Baird. He said he supports bringing TheBlaze to Burlington in part because its politics jibe with his own.